Tri-Fold Hanging Cosmetics & Toiletry Kit Just $3.64! Down From $19! You are here: Home / Great Deals / Amazon Deals / Tri-Fold Hanging Cosmetics & Toiletry Kit Just $3.64! Down From $19! Keep all your essentials neatly organized and ready to travel with this folio hanging cosmetics and toiletry kit! 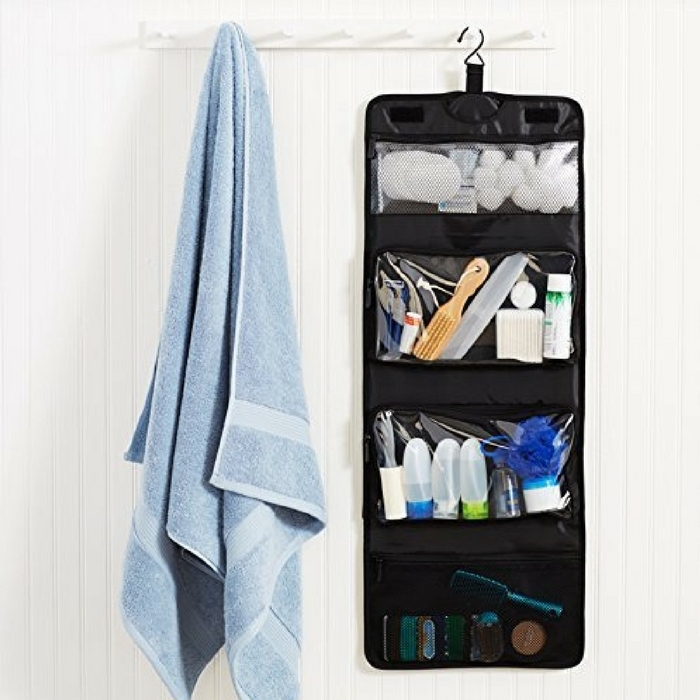 Thoughtfully designed, the cosmetics and toiletry kit provides a handy hook that allows for hanging it in a closet for out-of-the-way storage when not in use! Pretty handy! At Amazon, you can get Tri-Fold Hanging Cosmetics & Toiletry Kit for just $3.64 down from $18.99! This is an add-on item so you can get FREE shipping for orders over $25!